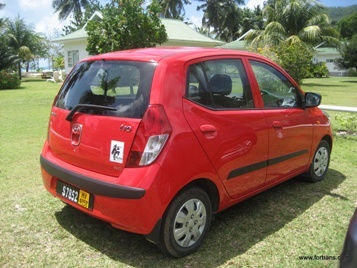 Car Hire Seychelles Mahe - Excellent Seychelles Car Rental Deals. 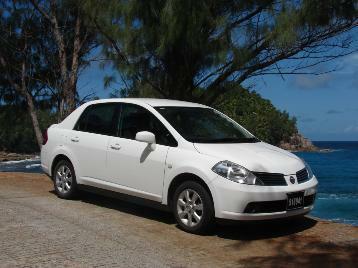 Rent a car in the Seychelles with Pirates Car Hire. Forget about the manic rush of peak hour traffic, the GPS that is not picking up its satellite and the toll fees you better pay before you get a fine.... Unwind you have arrived in the Seychelles Islands. For the ultimate Seychelles experience the best way to explore the idyllic island of Mahe is by renting a car with Pirates Car Hire. 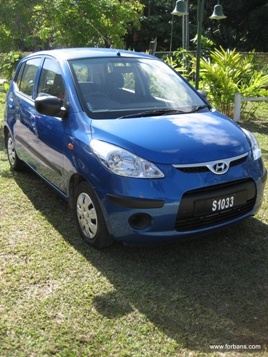 Drive in style and comfort while enjoying the passing beauty of the Seychelles flora and fauna. Pirates Car Hire offer a fleet of reliable and well maintained Hyundai and Nissan vehicles to all our clients wishing to explore the troves of buried treasures that the island of Mahe has to offer. If you would like to make a reservation with Pirates Car Hire please use our online reservation system. Merely book your Seychelles car rental when booking your Room at Chalet d'Anse Forbans, and choose your car in the option field or else email us direct on: Pirates Car Hire. Pirates Car Hire's daily rental rates are inclusive of unlimited kilometres and third party insurance. Pirates Car Hire recommend taking Collision Damage Waiver (CDW) which covers the hirer in case of an accident. The CDW option will limit the hirer's liability to Euro 1500 only. If no CDW is taken, then the Hirer is liable for the full damage to the vehicle. 1. You need to be over 23 years of age and have at least 3 years driving experience. 2. A valid driving licence. 3. Pirates’ car hire accepts Visa, Master Card, Cash or Travellers Cheques for payment. 1. We do warn all drivers in the Seychelles not to park under coconut tree as the coconuts do fall from the trees! 2. We also ask for understanding and patience when driving as you never know if the Seychelles Giant tortoise has the road ahead in mind to cross over, and they will do this in their own island time. No hooting or else they take to their shells and you are made to wait for longer. And if you think you can move the tortoise off the road, while good luck, you best have a heavy weight belt in power lifting. 3. Sunshine in Seychelles can cause suntans - Wear sun tan cream even when driving and try to take turns with your co driver or else you will have one arm more tanned than the other. 4. GPS are not recommended for your holiday in the Seychelles- when you get to the Seychelles Islands you will understand why? Rather bring your camera. 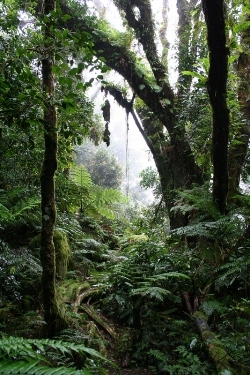 However instead of a GPS we offer you top places to visit on Mahe. Seychelles Attractions to visit within 40 minutes drive from Chalets d’ Anse Forbans. See our Seychelles location map for further information. 1. Anse Interdance beach- One of the top 10 beaches in the world, stunning Indian Ocean colours and tropical flora and fauna to take in. However do be careful as this beach on Mahe can be dangerous at times of the year for swimming. It will take you approximately 10 minutes from Chalets d’ Anse Forbans. 2. Anse Takamaka- A beautiful bay close to Chalets d’ Anse Forbans and worth a visit- again at certain times of year do be careful swimming. Le Reduit restaurant is on your left when coming from Chalets d’ Anse Forbans and highly recommended for local Seychelles Creole Cuisine do try the Red Snapper. 3. Baie Lazare- A nice bay at Anse Galuettes with easy parking. A small Seychelles Curio shop and good swimming beach on Mahe. Driving through Baie Lazare you will come to Michael Adams studio- famous artist of the Seychelles and a nice place to stop and have a stretch. Pineapple studio is a few metres down on your left side when coming from Chalets d’ Anse Forbans direction , a nice curio shop with nice T Shirts for all ages and styles. 4. Anse La Mouche- Another gorgeous bay with wide beaches when the tide is out. A great spot for children to play on the beach. Take away/ restaurants along this strip are recommended. A lot of the guests from Chalets d’ Anse Forbans frequent the Anchor cafe and Opera. 5. Victoria- Great bustling small capital. Park at the Pirates Arms parking lot as this is the only free parking in Victoria and take to foot to enjoy the sights and sounds of the Seychelles. Petrol station close to Roche Caiman which is the sports stadium on the road to the Seychelles International Airport just outside the little city of Victoria. Chalets d’ Anse Forbans is 24km from Victoria. A Short Guide on what to do/ what to see in Victoria - Mahe island Seychelles. This is just some of the spots to visit when driving around the island do enquire with us for more ideas. 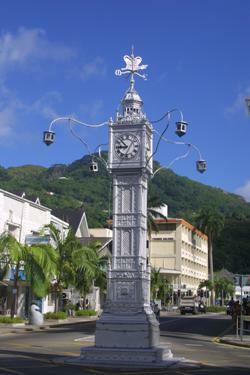 Victoria Seychelles the Big Ben! If you are staying at Chalet d' Anse Forbans, please enquire for your special rate. Q: What side of the road do you drive on in the Seychelles? A: In the Seychelles you drive on the left hand side like that of United Kingdom. Q: Does Pirates Car Hire offer left hand drive cars? A: Left hand drive cars not permitted in the Seychelles for rental so Pirates Car hire does not have any left hand side drive cars in their fleet. Q: Are the car rentals fully air conditioned? A: All the cars in the fleet of Pirates car hire have air conditioning. Q: How much do you charge per km/mile? 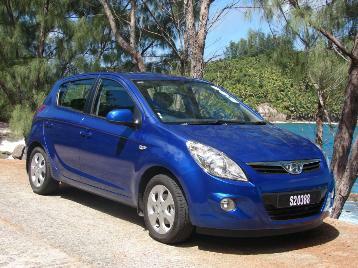 A: Pirates car hire charge you a flat daily rate for your rental car in the Seychelles and not a per km/mile rate. Q: What is your smoking policy in the Pirates car hire vehicles? A: All the Pirates car hire vehicles are non smoking. Q: What insurance is included in the Pirates car rental agreement? A: All the rental agreements are Third party insurance. Q: What documents do I need for hiring a car while in the Seychelles? A: You will need a current/ valid driver's licence, which you will have held for at least three years as well as some form of picture Identity will be required, e.g. Passport, ID card as well as you credit card (Mastercard or Visa only). Q: How old do I have to be to hire a car? A: The minimum age is 23 years. Q: Does Pirates car hire have a rental car counter at the Seychelles International Airport? A: No we do not have any booking counter at the International or domestic airports but you can book online on the Chalets d' Anse Forbans booking engine. Q: What is the delivery and collection charge for the rental vehicle? A: Pirates car hire do not charge for delivery and collection of cars from the airport or the jetty on Mahe Island. In addition there are no charges for car seats and booster seats subject to availability. Q: I want to Pick-Up my car at one location and Drop-Off the car at another location. Is this possible with Pirates Car Hire? A: Pirates car hire will do their best to accommodate all requests. Q: We will arrive at the Seychelles International airport ,can the car be at the airport for our collection and drop off? A representative from Pirates Car hire will meet you on arrival at the Seychelles International Airport to organise your car hire and in turn organise the drop off of your car. Do not worry if your flight is delayed we will check with the airport for your confirmed arrival time. Q: We are travelling as a family to the Seychelles and I will have my baby and toddler with me do you provide baby chairs and booster seats? A: At Pirates Car hire we understand the safety aspect of travelling with children and do have baby chairs and booster seats available- please request this in your booking. We still strongly recommend you to bring your own car seats . A Seychelles post on what to bring along on my holiday in the Seychelles. Q: What happens if the car breaks down? A: In the unusual event of a breakdown, you have breakdown assistance. The number to call is on your car rental key ring and on the car rental agreements form. Q: If we have an accident or the car is damaged what happens? A: If you have taken CDW- The first excess of 1000 Euro (one thousand) is payable in the event of any accident or damages to the vehicle inclusive of: loss of keys, theft and parking fines. A: If you have not taken CDW- You are liable for the full cost of the vehicle damage in the event of any accident or damages to the vehicle inclusive of : loss of keys, theft and parking fines. A: Yes. Please email info@forbans.com to amend your booking at least 07 days in advance . A: Pirates car hire cancellation policy is: no show or the failure to cancel within 48 hours - full rate of your reservation will be charged. A: The car rental price includes GST which is currently at 15%. Q: Will I receive the make/model of car I have reserved? A: Receiving the requested make or model of car depends upon availability at the time of your arrival to pick up the vehicle. The luggage icons are to be used as a guide only; there is no guarantee your luggage will fit in the vehicle. 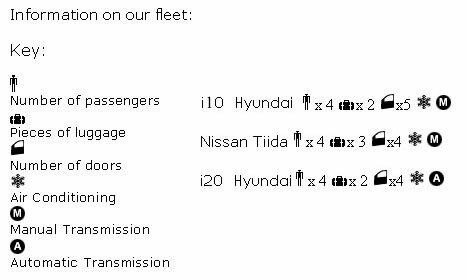 The passenger icon cannot be exceeded per vehicle. Q: Will my car have a full tank of petrol? A: Yes and we request you return the vehicle with a full tank.